Getting the parts you need for an older scooter can be an adventure. The major manufacturers are pretty good at supporting their scooters for quite a while, but if your scooter is nearing 20 years old (or older) then parts available is likely diminishing. Even owners of new scooters will often want to look online to save money. Some new parts can be surprisingly expensive from the dealer (ie. some 50cc OEM scooter exhausts run $400) and often used parts will work just as well. By default, an eBay search will normally only search your home country or maybe continent. Scooter models are often sold all over the world, so by searching on all of eBay’s sites worldwide you really boost your chances of finding that part. To search worldwide, instead of typing in a normal search query, click on the ‘advanced’ button to the right of the search box. On the advanced search page, scroll down to ‘Location’ (see picture) and set it so you get results worldwide. Almost every scooter sold has both a ‘model code’ and a name (or bunch of names). For example, the Honda Ruckus has the model code of NPS50 (or NPS50S if you get the special paint) and it’s called the Ruckus in North America, but it gets the name ‘Zoomer’ in Europe and Japan. Someone selling parts for this scooter on eBay worldwide might use the name ‘Honda Ruckus’ but they could also use Zoomer or NPS50 and you wouldn’t want to miss those results since they are perfectly compatible parts (in most cases). 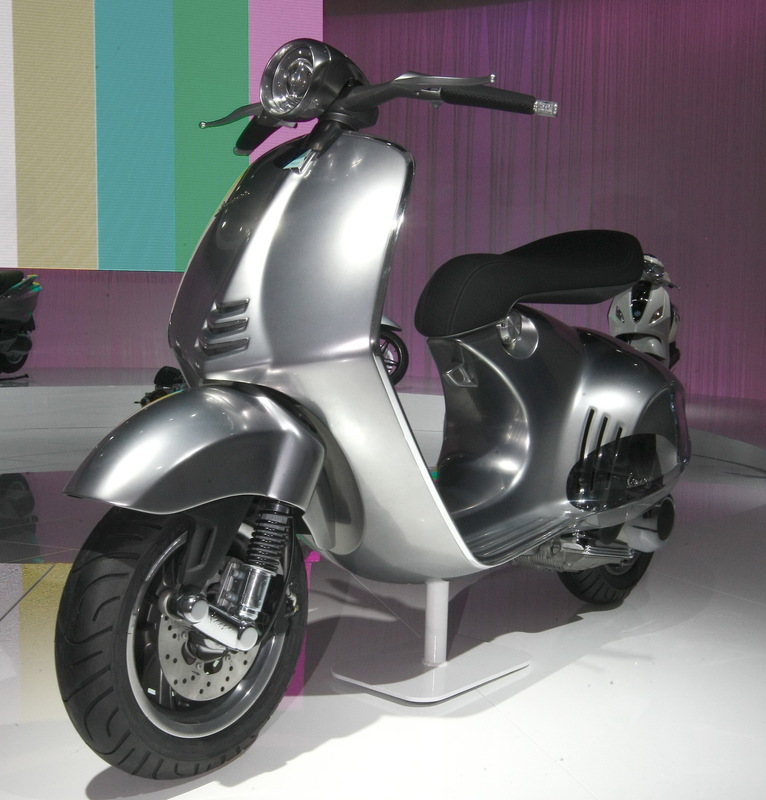 Some scooters have a whole list of names, such as the Honda Metropolitan which can also be called the Crea, Scoopy, Jazz and CHF50. It can be a little time consuming to search using all the different names for your scooter, especially if the parts is hard to find and you’re going to need to search for months until you find the right thing. To make it quicker and simpler to search, you can put words in brackets with comma’s between the words to tell eBay you will accept any of those words. So if you search for “Honda (Ruckus, Zoomer, NPS50)” then it will give you all results that contain “Honda Ruckus” OR “Honda Zoomer” and “Honda NPS”. You do one search instead of three, and you don’t have to wade through the same results several times if the sellers has listed a few of these names in the auction title. Another good use of the “OR” function is when you’re not sure what the seller may have called the part. If you need a new back wheel for your Aero 125, it could be listed as a ‘wheel’ but it could also be listed as a ‘rim’. Instead of making a whole bunch of searches, you could just search for “Honda (Aero 125, Lead 125, NH125) (wheel, rim) and you’d get every result that contains wheel or rim for every possible name for your scooter. Hopefully the “OR’ function has made searching a lot easier, but you still don’t want to have to go and do this every day for months until you finally find that part. Once you’ve decided upon the perfect search and pressed search, at the top of the page eBay will give you a little link that says ‘Save Search’. Give this link a click, log in if you haven’t already and then make sure the box is checked to email you daily. Now whenever there is a hit for this search eBay will send you an email. They will email no more than once per day with all the new results that day. If you want to delete a saved search, log in to your eBay account and it’s pretty straight forward from there. You can delete a search right away, set it to expire in a certain number of days and several other options. Saving a search is great for non-urgent parts (ie. body panels) when you don’t mind waiting a few months to get the right thing for a good price. With enough patience, almost anything will show up. If you’ve used all of the above tips and that rare part is still eluding you, it might be time to take it to the next level and see if any other models have ever used this part. Quite a few parts (ie. wheels, pistons, lights, blinkers, electrical components) wind up being used on several different models....sometimes 20 years apart. Most of the common OEM part websites will let you look up parts and some even tell you the manufacturers part number, but they rarely will tell you which other models have used the same part. One great online way to check if other models have used the part you need is with the various online OEM parts look up websites like BikeBandit.com. This tool lets you remotely connect to their actual parts lookup software and it’s extremely powerful. It’ll take you a few minutes to learn your way around, but it’s not that hard. Once you learn how to cross-reference parts with this, you might learn that the same ‘impossible to find’ brake light used in your super rare Honda Gyro is actually exactly the same part they used a few years earlier on a small motorcycle. Manufacturers like to save money where ever they can, and you’ll be surprised how many parts are using in several models.